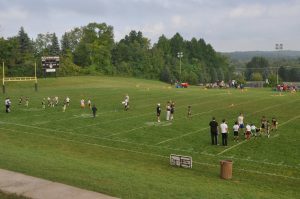 Our EC varsity football team returned to the athletic field on Saturday morning after ousting Bishop Foley on Friday night for a 4-0 record on the season. The boys weren’t back for a workout, at least not first thing in the morning. 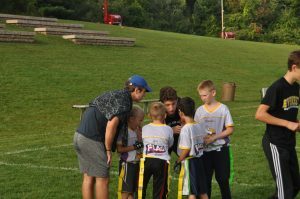 The Mountaineers take time every Saturday morning to share their love of the game with the Everest flag football program. 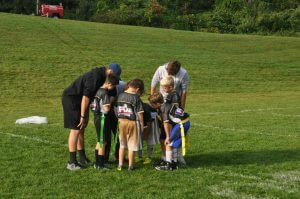 The team coaches the kindergarten through fourth-grade students who participate in the program. The Everest flag football program is partnering with the NFL flag football program to offer this exciting opportunity for elementary students to learn the basic fundamentals of the game. Save the date for our spring session which begins on April 27. 2019.